In Feng Shui, the multitude of situations we encounter are considered to be made of 3 categories of components the Chinese termed “Qi” 氣, “Shu” 數 and “Xiang” 象. Lets start with the term “Xiang”, which literally means appearance, shape and image; it refers to the things that we can see through our observation with the five senses. What we can see, hear, smell, touch and taste allow us to come to terms with the situation physically. It is the tangible parts of a feng shui consultation and we always start with the visible and the exposed, in order to work towards the invisible and the hidden. “Shu” has both the meaning of numbers and to count them, it refers to the pattern language that we have created, using numbers through correlative thinking to contemplate at things that are hidden and invisible. 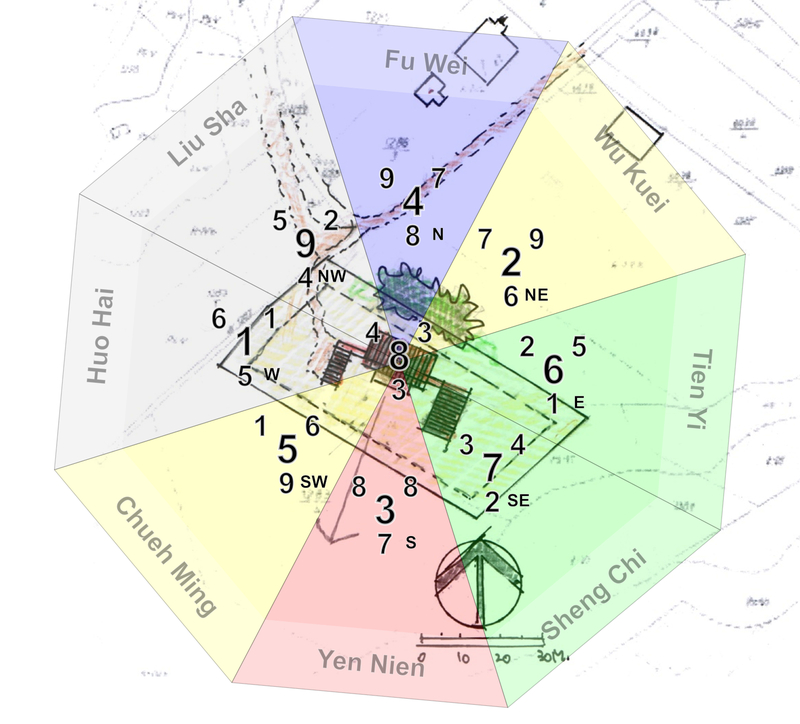 Just as the previous is dealt mainly with Form Feng Shui, this category is mainly done with Compass Feng Shui. The compass reading is correlated to Trigrams and the Trigrams to numbers and the arrangement of Trigrams gave us a numerical pattern like a Flying Star chart, which we can use to meditate on the intangible aspects of the same situation metaphysically. Between the physical and the metaphysical, the tangible and the intangible, the visible and the invisible, the form and the formless, we can gain enough information to allow us to understand the formless Qi of a situation. The term “Qi” here in Feng Shui refers to the potential and the capability inherent in a situation; it is also a continuum that links all things together through the complementary opposite of Yin and Yang. By doing so, we can have a grasp of the form and formless Qi of what is inherent in a give environment and the occupant’s reactions living there. This holistic understand allows us to make suggestions, to make changes, to improve and/or to readjust the deficiencies without destroying the existing environment. 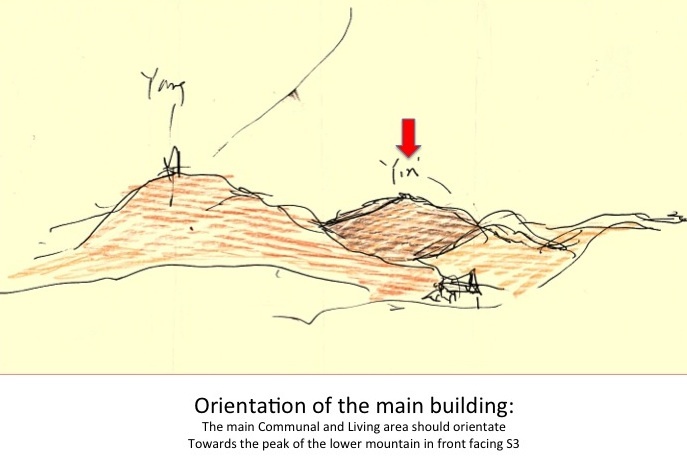 This is essentially what we would do in a feng shui consultation, with the three basic concepts of “Xiang”, “Shu” and “Qi” outlined above. 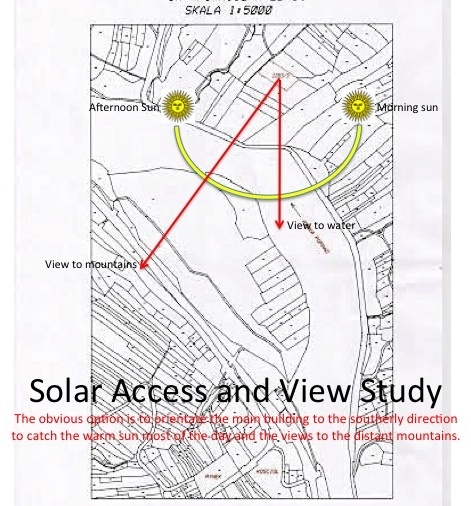 Below you can see a brief example of one of our recent feng shui consultations for a new house. 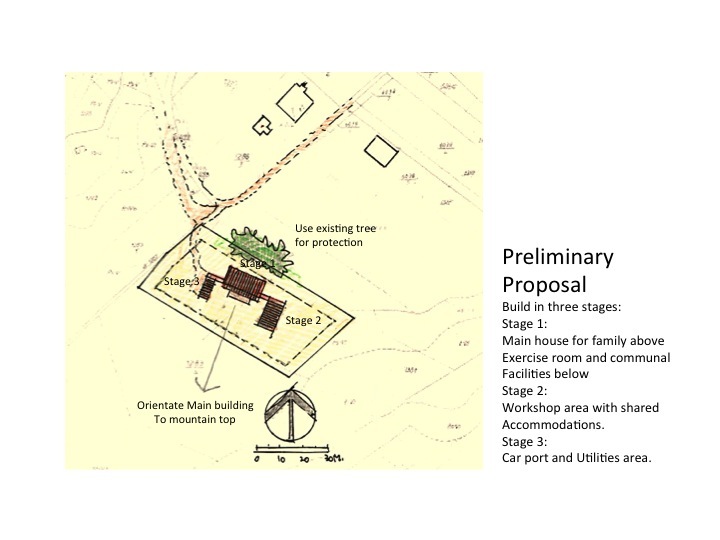 Picture 1 showed a page from the Form feng shui studies, picture 2 showed our preferred orientation for the house, picture 3 showed a rough location and configuration of the house on site and the last picture is a Flying Star chart of our suggested planning for the house.